Live from the Royal Festival Hall, London Philharmonic Orchestra under Vladimir Jurowski. Rachmaninov: Piano Concerto No 3 (soloist: Marc-Andre Hamelin). Zemlinsky: The Mermaid. Live from the Royal Festival Hall, the London Philharmonic Orchestra conducted by Vladimir Jurowski performs two seductive, late-Romantic works from the beginning of the twentieth century: Rachmaninov's Piano Concerto No. 3 with Marc-André Hamelin, and Zemlinsky's The Mermaid. "It's a monster! Tame it, or it will swallow you whole!" 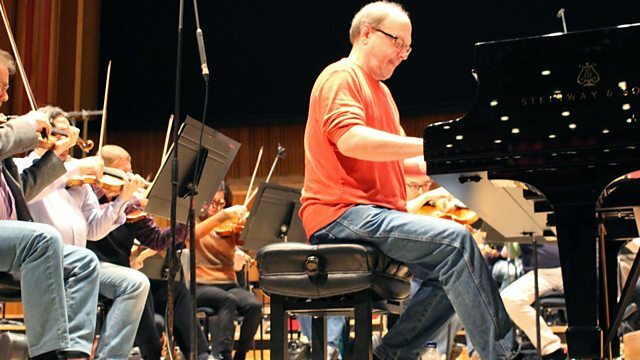 cries a fruity-voiced John Gielgud to Geoffrey Rush in the 1996 film Shine, as professor urges troubled piano prodigy David Helfgott to scale the heights of Sergei Rachmaninov's Third Piano Concerto. "No one's ever been mad enough to attempt The Rach Three!" Histrionics aside, the concerto is indeed a daunting technical challenge, written by Rachmaninov, among the all-time great pianists, for himself to play. Marc-André Hamelin is himself a pianist-composer whose formidable technique is allied to an extraordinary musicality and this promises to be a memorable performance. Perhaps Hans Christian Andersen's tragic tale of The Little Mermaid with its theme of doomed love struck a painfully familiar chord with Alexander von Zemlinsky. Rejected by Alma Schindler for Gustav Mahler, Andersen's story was the inspiration for Die Seejungfrau which Zemlinsky tellingly began shortly before their wedding. It's a three-movement, sumptuously orchestrated symphonic poem evoking a stormy seascape, festivities and, finally, heartbreak and loss. Etude based on Gershwin's "Liza"